This baby squirrel has the cutest squeaking sounds. 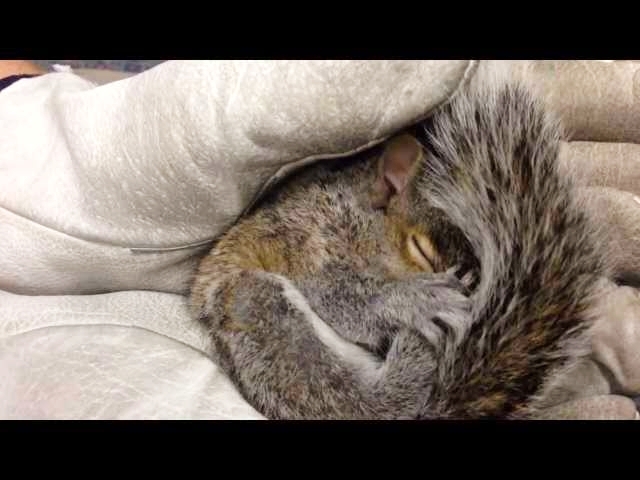 The baby squirrel was found in between the walls of a construction home. They waited to see if the mother returns for the baby. Then after an hour with no mom in sight, they called Wildlife Animal Rescue. They have guidelines on how to care for animals in need, rehabilitate and return it to wildlife.